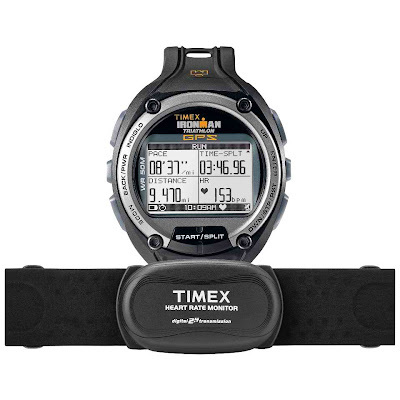 Ironman Global Trainer GPS Watch with Digital 2.4 Heart Rate Monitor. Since I joined competitive runs, I have been buying and wishing for runner stuffs and lately, my husband had bought me the latest SONY SPORTS MP3 with my favorite pink highlights. But, now that I join other runners in some of the runs, I wish I could have my own digital runner watch that shall count my distance, pace, heart rate and calories burned. So, a price - friendly runner watch suggestion shall be the Ironman Global Trainer GPS Watch with Digital 2.4 Heart Rate Monitor.